If you've just started wearing braces, congratulations! You are on your way to having a beautiful, straight smile that you'll be proud to show off to the world. In the meantime, living with your orthodontic appliances may take a little getting used to — particularly during the first week. But after that, it really does get better! 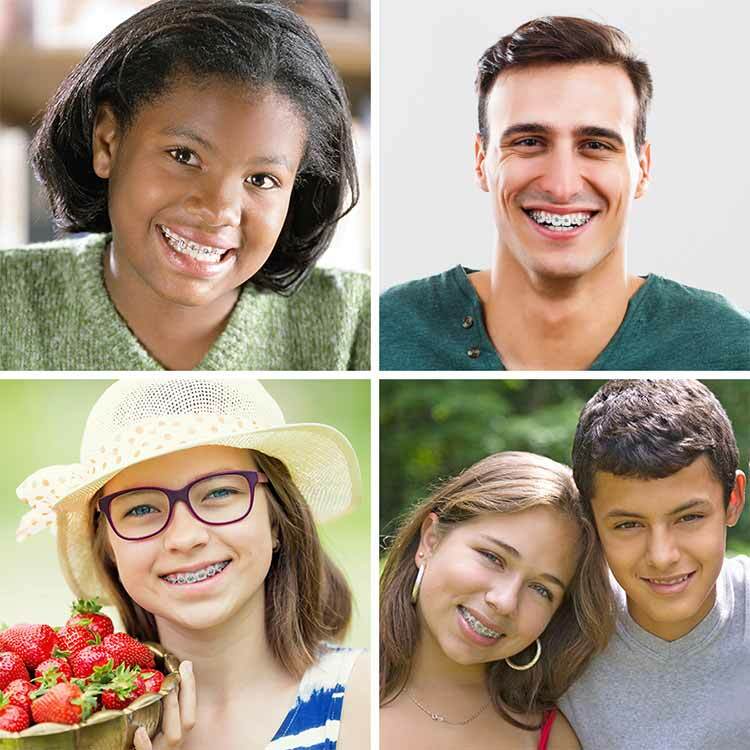 Here are some tips for adjusting to life with braces. When your braces first go on, you may experience two different types of discomfort: an overall soreness (this may also occur after routine tightening of orthodontic wires) and some irritation from the wires and brackets themselves. The general soreness should start to go away in a few days. In the meantime, a warm, wet compress held to the jaw can be soothing. Over-the-counter pain-relievers such as ibuprofen (Advil, Motrin) or acetaminophen (Tylenol) may also be helpful. During the first few days, try eating a softer diet of foods like oatmeal, pasta and soup. If any wires or brackets rub uncomfortably on the insides of your lips and cheeks, try using the special wax you were given at the office. Place a small amount of the wax over any protruding brackets or wires to smooth those rough areas and make them less irritating. This discomfort will also subside over time, as the insides of your cheeks and lips toughen up in response to the presence of your braces. To help ease the irritation, try rinsing with warm saltwater (add 1 teaspoon of salt to 1 cup of water). Occasionally, the wire must be clipped to solve the problem. We can take care of this for you — just call the office and let us know you need to come in. As you adjust to eating with braces, instinct will tell you which foods to avoid. These include things that are hard, sticky, crunchy or require biting into — like bagels, carrots and corn on the cob. However, there's no reason to give up healthy foods you love. Fruits and vegetables can be cut into smaller pieces, blended into smoothies, or softened in cooking to avoid causing damage to your braces. Avoiding sugary foods and drinks is always a good idea for oral health, but it's even more important when you're wearing braces. That's because keeping your teeth clean can be more challenging with those brackets and wires in place. If particles of sugary foods like donuts or candy become trapped in your braces, or if plaque builds up on tooth surfaces you can't reach, tooth decay can quickly result. 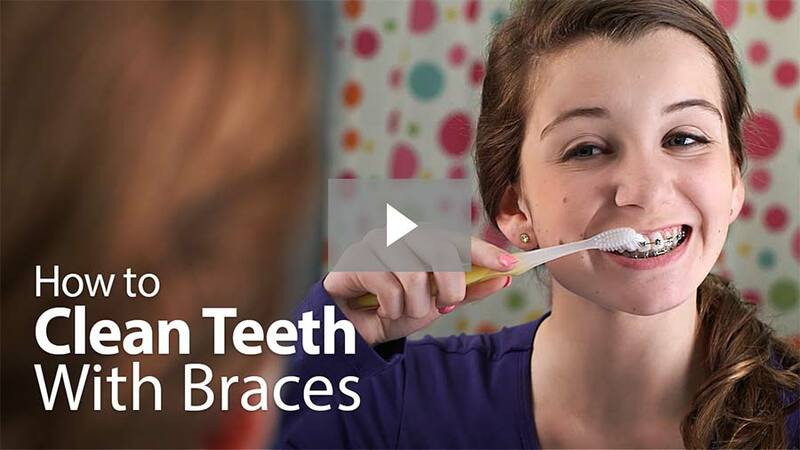 So how do you keep your teeth clean while wearing braces? Brush at least twice each day with a soft-bristled toothbrush and toothpaste that contains fluoride, which will strengthen the teeth. Fluoride mouthrinses are also available for added protection against cavities. Braces can be hard on a toothbrush, so you may have to replace them more frequently as you go through your orthodontic treatment. Cleaning between your teeth at least once a day (preferably before you go to bed) is also very important. There are several ways to do this. When using dental floss, a special tool called a floss threader can help you pass the floss beneath the archwire that runs through the brackets on your braces. You can also try an interdental brush, which is a tiny disposable brush that can reach into small spaces your regular brush can't. Some people like using a water flosser, which shoots a pressurized stream of water at the teeth to dislodge food particles. We'd be happy to give you more detailed instruction on using any of these oral hygiene aids. Avoiding difficult foods and cleaning your teeth daily will go a long way toward keeping your teeth healthy as your smile is transformed. However, if you regularly participate in sports, here's another important tip: wear a mouthguard! This not only helps protect your braces from breakage, it can also protect the soft tissues of your mouth from additional trauma. We can have a custom mouthguard made for you — just ask! Feel free to call us if you need further advice or troubleshooting. And please remember: Wearing braces is a temporary phase that gets easier with each passing week. When your braces come off and you see your new smile for the first time, you'll be glad you hung in there!